Reiki and Animals — Peace. Heal. Love. Reiki for animals is a meditative approach. Rebecca practices a hands off ‘Let the animals Lead’ approach as taught by her teacher Kathleen Prasad. 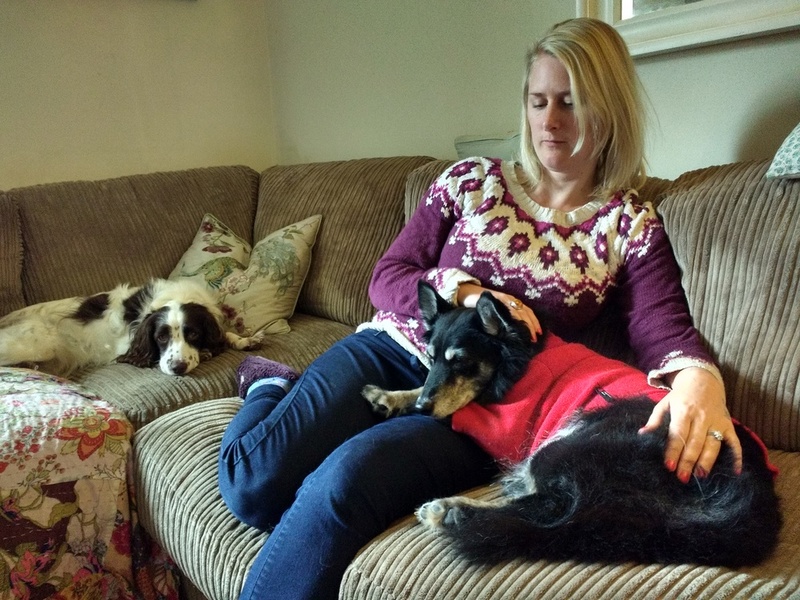 Rebecca strongly believes in letting the animals choose to ‘receive’ Reiki, giving them the choice and offering Reiki in this way is a powerful state to be in for both Rebecca and the animal. Pets such as Dogs, Cats and Rabbits and Horses, Donkeys, Sheep, Cows, Goats, Alpacas…. can all benefit. A meditative approach with animals creates a Reiki space in which to share with the animals. Whether they have an illness or not, Reiki can help them, balance them, relieve stress and tension. Reiki can reduce pain, reduce effects of trauma, emotionally and physically and Reiki can promote wellness in healthy animals. As a Veterinary nurse, I have worked with animals for stress, for illness and injury, for their operations and into recovery. As a Reiki Practitioner I have witnessed beauty and been taught by many animal teachers how to deepen my practice in order to maximise a Reiki session. 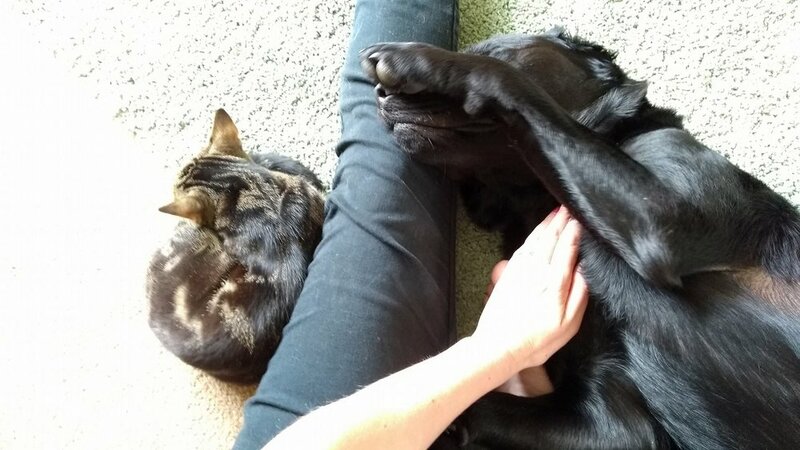 Our own dogs are little Reiki sponges and our cat will appear as soon as the Reiki energy starts to flow! Reiki Animal Home visits are available in and around Stamford, Lincolnshire and Distance Reiki sessions are available for your Animal Friend please contact us for more information.